Budding Bill Gates’ and Donald Trumps take note, Mini-Biz 2008 is getting ready to open shop. The six-week public lecture series, running from Sept. 16 to Oct. 28, will feature McGill profs from the Desautels Faculty of Management expounding on everything from leadership and technology to how business and society are interlinked. This dynamic outreach program will provide participants with a window onto the complex challenges facing businesses today and help them to better understand the rapidly changing global economy. Topics for this popular series include “Making Successful Mistakes,” “Earth: Living in a Branded World,” and “Creative Accounting: Interpreting Financial Statements in a Post-Enron World.” Advance registration and payment are required. Mini-Biz 2008; Sept. 16-Oct. 28; 6 p.m refreshments; 6:30 p.m..-8 p.m lectures. Desautels Faculty of Management;1001 Sherbrooke St. West; ground floor lecture hall, room 151. Cost $60 for students and seniors, $100 regular admission. Info: minibiz.mgmt@mcgill.ca or call 514-398-1054. Carl E. Wieman is smart, Nobel Prize-winning smart. The son of an Oregon sawmill worker, Wieman spent most of his youth living in semi-seclusion with his family in the dense forests of the Oregon coastal range and attending a three-room schoolhouse. From there, Wieman cultivated a love of learning that culminated with his winning the 2001 Nobel Prize in Physics. The Tomlinson Project in University-Level Education and the Department of Physics are proud to co-sponsor a pair of lectures by Wieman. On Sept. 24, he will deliver the Science Education Lecture in which he will discuss the failures of traditional educational practices, even as used by “very good” teachers, and the successes of some new practices and technology. The following day, he will deliver the Physics Lecture in which he will discuss how students’ beliefs about physics correlate with learning of content, choice of major and interest, and how different teaching practices impact beliefs in positive and negative ways. Science Education Lecture; Sept. 24; 6 p.m.. Frank Dawson Adams Building auditorium; 3450 University St. Physics Lecture; Sept. 25; 3:30 p.m. Strathcona Anatomy and Dentistry Building, room M-1, 3640 University St. Both events are free. For more information contact David Syncox at david.syncox@mcgill.ca or 514-398-3034. 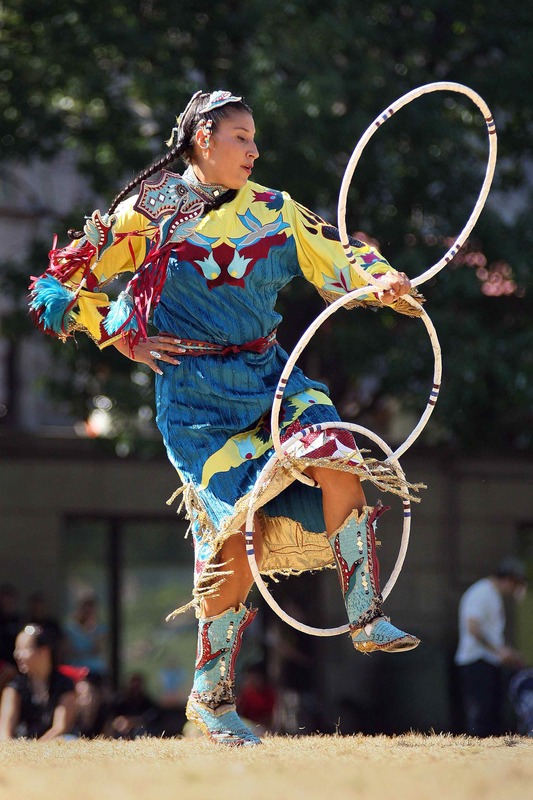 Join in the celebration of Aboriginal culture, art and history at the Seventh Annual First Peoples’ House Pow-wow. A fall tradition at McGill since 2002, the pow-wow brings aboriginal arts, food and crafts to the lower campus downtown on Friday, Sept. 19. This year’s event schedule, beginning with the traditional ceremonial grad entry at 8:45 a.m., includes demonstrations of Iroquois and pow-wow singing and dancing, a performance by Inuit throat singers, hoop dancing and a lacrosse demonstration, as well as a performance by spoken word artist and poet Taqralik Partridge and Cree storytelling with Elma Moses. Traditional crafts will be sold on site. 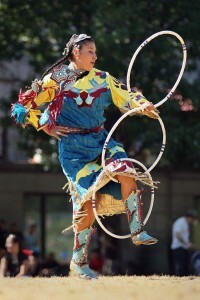 The Seventh Annual First Peoples’ House Pow-wow; Friday Sept 19., 9-3 p.m.; downtown lower campus. For more information call 514-398-3217 or visit www.mcgill.ca/fph/events. A hit during orientation week, the McGill Farmers’ Market and its fresh goods and goodies return to the downtown campus for three Tuesdays in September. A collaboration between students, the Students’ Society of McGill University, and McGill Food and Dining Services, this year’s market is the first in what organizers say will be an annual event. It will include stalls from; Organic Campus (organic produce, sweet breads, and traditional Ethopian goodies); Capucine et Tournesol (whole-grain breads and muffins); L’empreinte verte (organic garlic); Ferme BioGeronimo (organic chicken) and Campus Crops (fine herb seedlings). The market also includes information booths where visitors can learn more about local and sustainable agriculture. McGill Farmers’ Market; Tuesday Sept. 16, 23 and 30, 11 a.m.- 6 p.m., “Three Bares” Park (on the west side of the main campus avenue, just south of the Arts building).